The documentary film is very unbiased in its presentation, allowing the religious leaders to speak for themselves. A fascinating history of the relationship between evangelical Christians and conservative/Republican politicians, beginning with the Rev. Billy Graham, and ending with the current G.W. Bush. 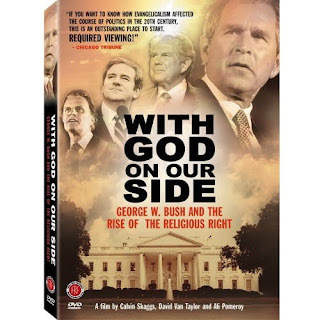 Viewers from all points on the political and religious spectrum will find this film informative. The current Bush says he speaks with God. But in the end one may ask: "Would the Prince of Peace really vote for Mr. Bush?" Your attendance is respectfully requested. Please help support a forum for progressive thought in Central Texas.